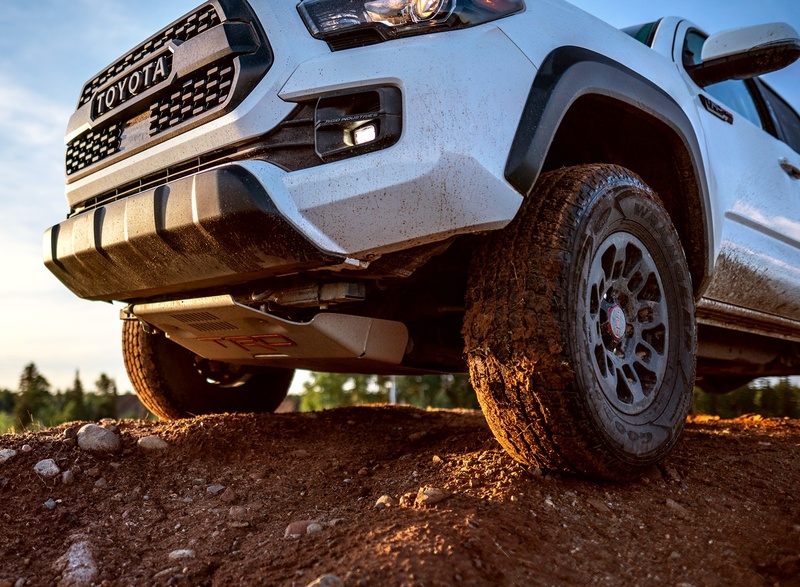 As rugged and powerful as it is, the 2019 Tacoma also makes plenty of room for comfort and style. The sporty interior was designed with sophisticated soft touch materials and metallic accents to enrich your driving experience. 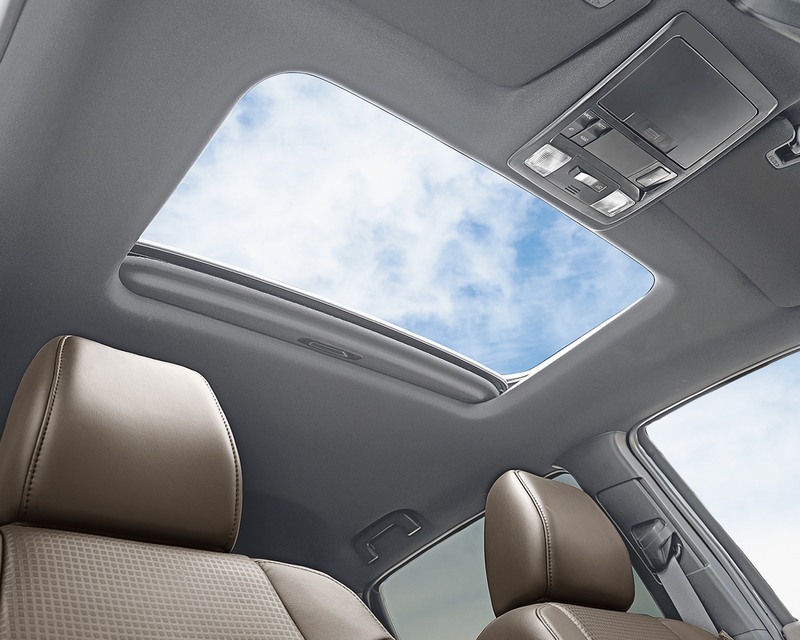 With an array of smart features like an available 7” Display Audio System with Navigation, Qi Wireless Charging and standard Backup Camera, you are always connected to the outside world. If you weren’t booting up a mountain road or hauling down a heavy load, you might almost forget you were driving a truck. Almost. 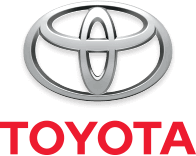 Toyota Pickups are ingeniously capable, and built for serious adventure. 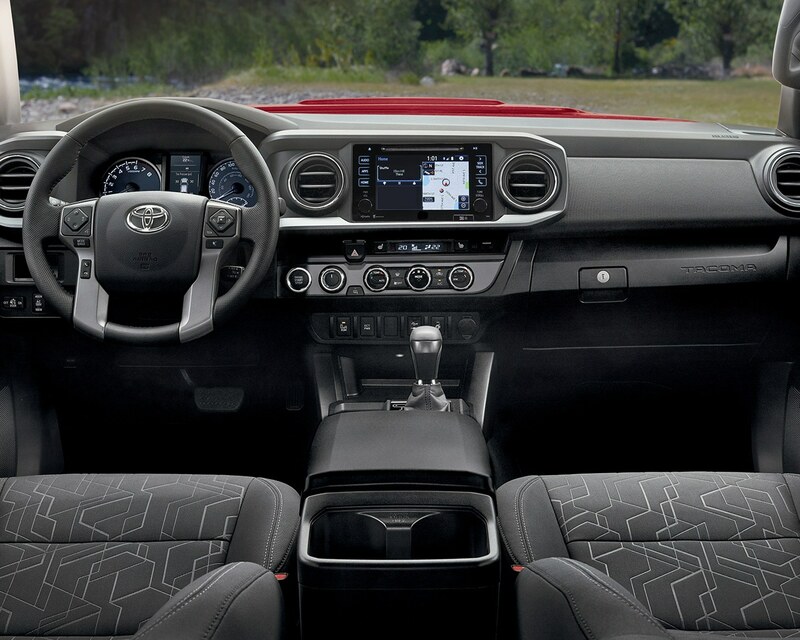 The 2019 Tacoma delivers beyond your expectations not just in how it looks, but in how it’s actually built and designed. 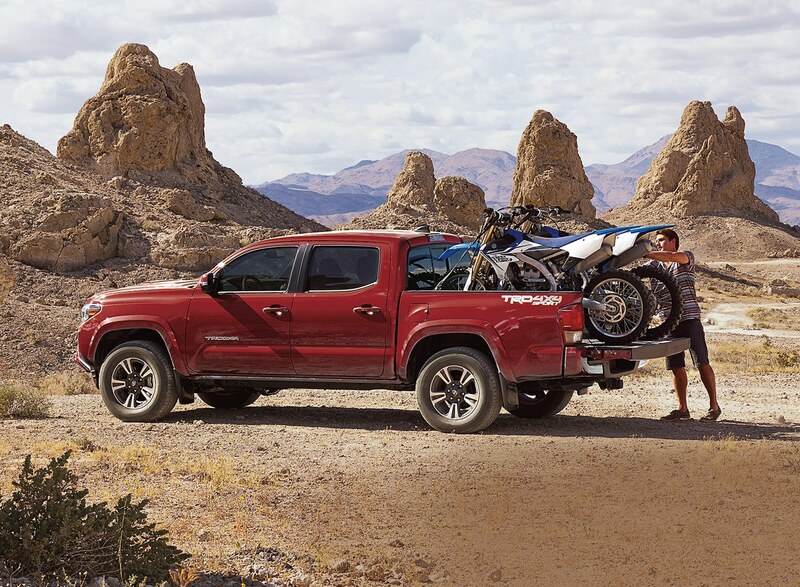 The Tacoma has a high strength, triple tech frame to improve rigidity, as well as ride and handling. The bed itself is made of an ultra-durable, fibre-reinforced Sheet-Moulded composite surface that is dent-resistant and corrosion-free, with a greater impact strength than steel. The convenient deck rail system lets you quickly secure your loads, while the easy access 120V/400W power outlet in the bed gives you the power you need for onsite projects. and brakes, helping improve traction. no matter how bad the road or weather conditions are. 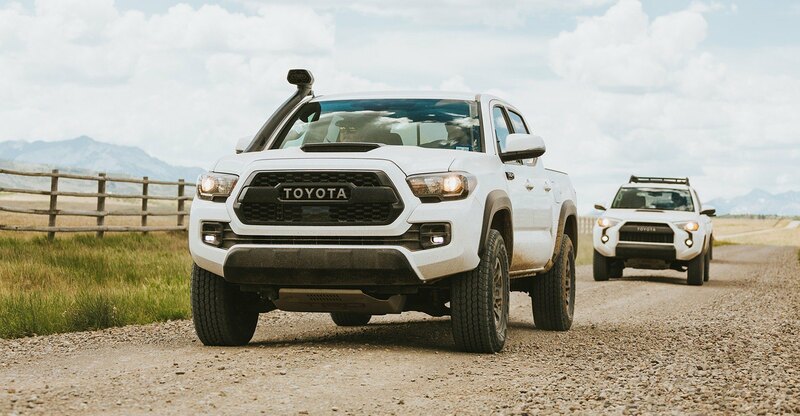 Are You Ready To Tackle The Off-Road? If so, feel free to browse our online inventory by clicking below, or contact us and one of our Product Specialists would love to tackle any of your questions and help you get behind the wheel.